Star Wars Unicorn Trolls Cake Whaaa? 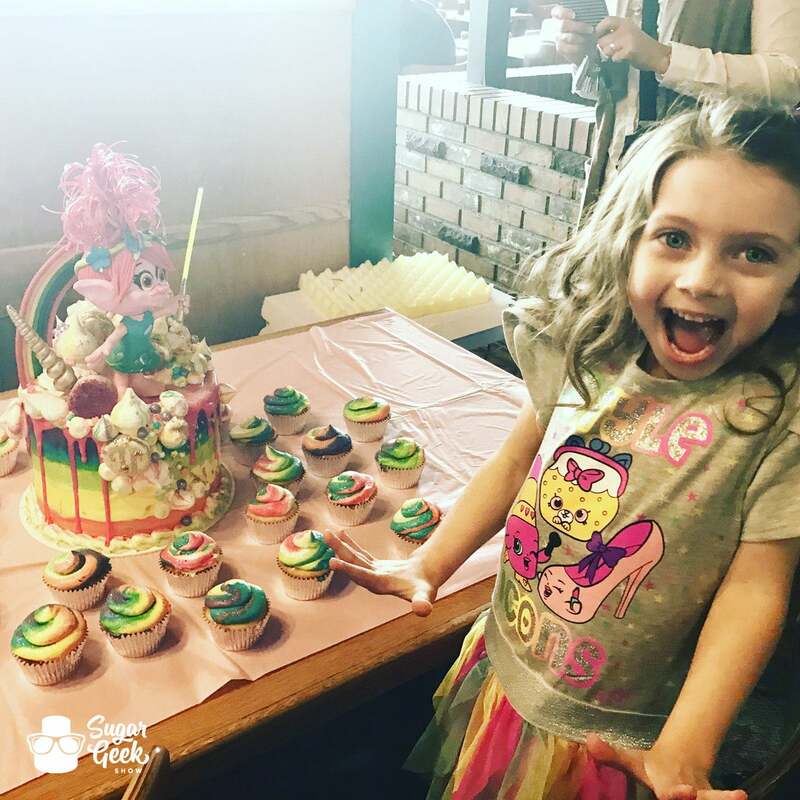 When a soon to be 5 year old girl asks for a Star Wars Unicorn Trolls cake, what do you do? PANIC. I’m kidding. Well I mean you could panic but really what good would that do? 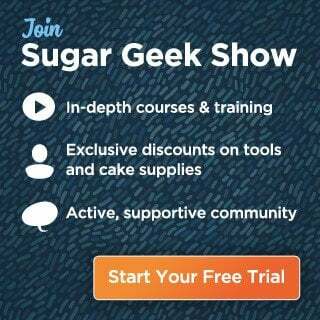 In the event that you do get this unique request, Sugar Geek Show has you covered! Behold the light saber wielding troll princess living in a happy yummy rainbow land where life really is all cupcakes and rainbows. Although, if we make trolls to eat does that make us Bergens? Maybe it doesn’t count if they aren’t alive. We’ll go with that. 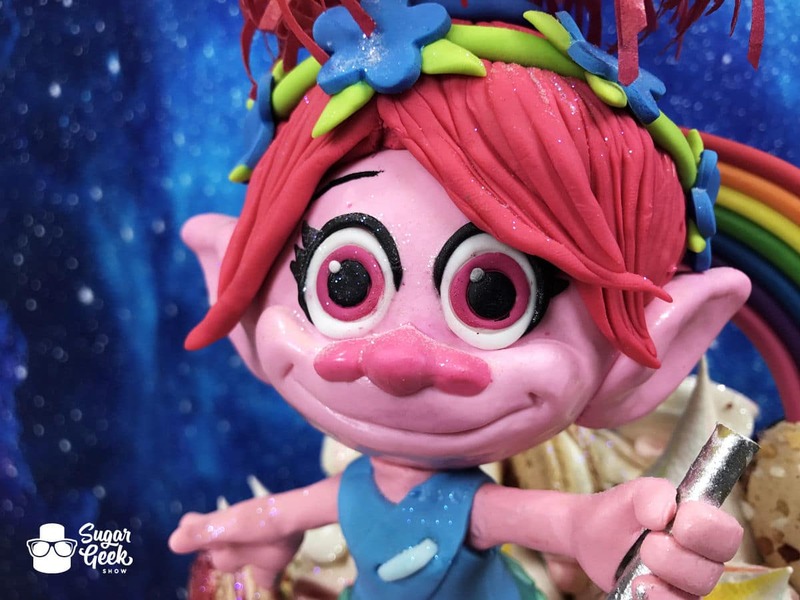 This tutorial focuses on the Princess Poppy Troll Topper complete with armature, details and wafer paper hair. Super great info that can be used for lots of different toppers! Macarons and Meringue Kisses, yummmm. 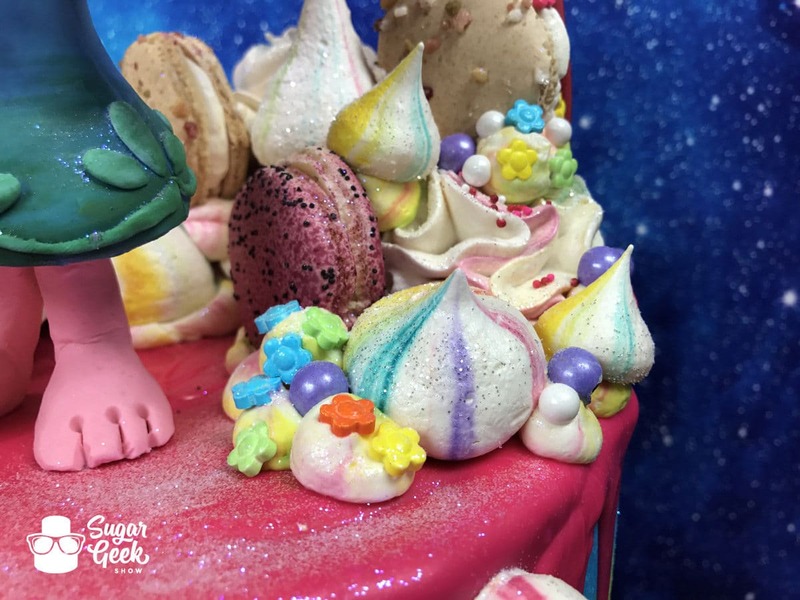 Checkout this awesome tutorial for these lovely dollops of joy from Cupcake Jemma. 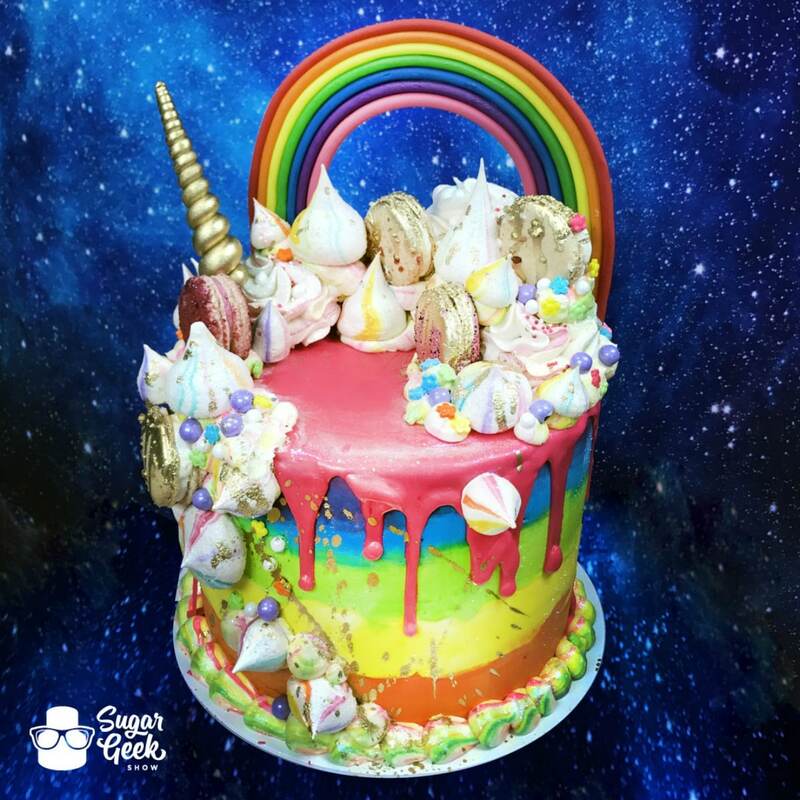 The tutorial also covers the gum paste rainbow, rainbow buttercream and super fun and popular drip effect! And for last I have saved what is quite possibly THE cutest cake reveal picture EVER. This photo just oozes squeeeee!! Total excitement and what every cake decorator wants to see come out of their blood, sweat and tears. Mission accomplished. 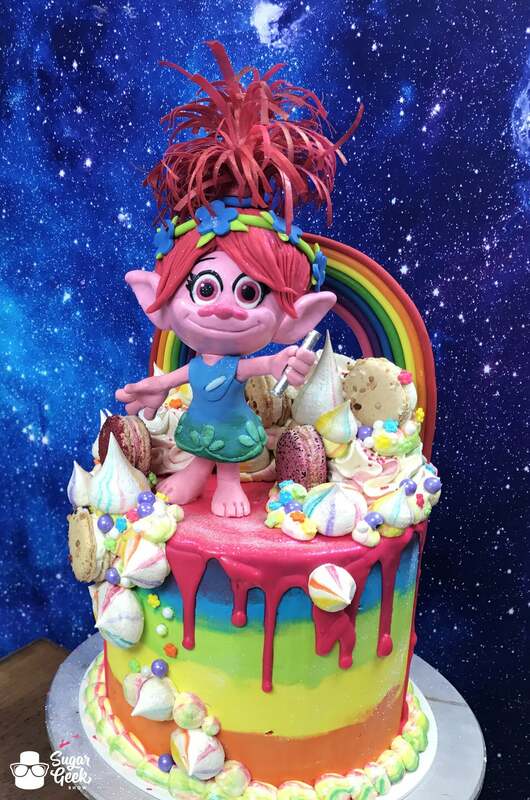 If you haven’t already, chances are you’re going to get a request for a Trolls cake and when you do you’ll want this info on hand! Sign up as a Premium or Elite Member to get access to this whirlwind of fun along with hundreds of other tutorials. View the promo video below to get an even closer look!